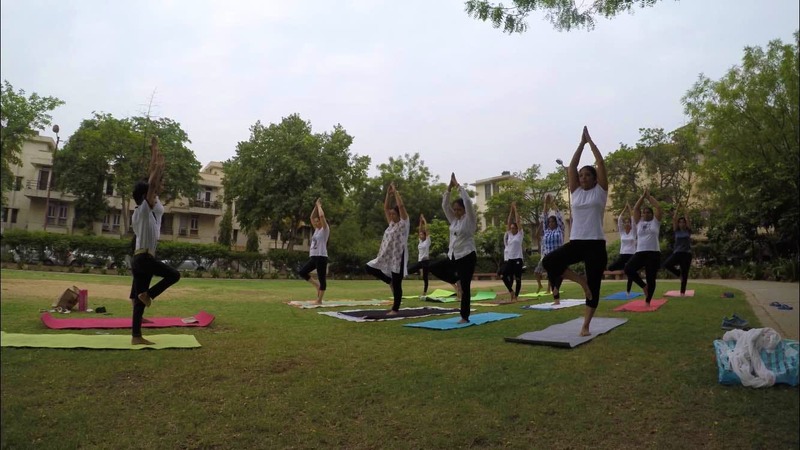 Geeta is a trained yoga instructor and conducts fitness classes for women either in the society's park or at her terrace. She schedules these classes 5 days a week and it's a mix of yoga, pilates, aerobics, and circuit training. The best part about her classes is that she pushes everyone to do better and makes these classes fun and the routine doesn’t ever get boring. She conducts these classes both in the morning as well as in the evening, so you can go as per your convenience. She charges a mere INR 1,500 for a month. For more details, you can get in touch with her at 9818800593. As the number of people in the group is increasing, she should get a bigger place to train and conduct her classes.